Jupiter Retrograde, June 16th – What is in store for you? In common man’s parlance, planetary retrograde refers to a period when the planet is closest to the Earth, appears brightest in the sky and looks to be moving backward from Earth. Jupiter also referred to as Guru goes retrograde on June 16th in the sign Aquarius. Jupiter moves to Capricorn while still retrograde on July 31st . Jupiter then turns direct on October 13th , in the sign Capricorn. Jupiter is a planet of fortune and expansion. He governs finance, children, prosperity, harmony, honor, truth, honesty, spirituality, auspiciousness. While in retro motion (apparent backward motion), Jupiter would reverse its influence on the above mentioned areas. Since Jupiter is in the sign of Saturn, the task master, the retro influence would be tough. As Capricorn is a movable sign, a planet entering in the opposite direction would affect the above mentioned adversely. Jupiter retrograde is a good time to review what you have now and introspect on the real progress that you have made in life. The energies of this retrograde supports educational pursuits and helps to realize unfinished academic aspirations. This is also a time when your inner awareness is at its highest and you can make progress to a refined level of understanding of yourself and your relationship with this Universe. Jupiter is considered the king of planets and as such the ill effects of other planets are controlled automatically, when Jupiter is powerful. While everyone prays for a favorable Jupiter influence, majority may not have such a favorable arrangement in their charts. So, alternately Astrologers prescribe timely remedies which make you feel protected. The table below gives detailed predictions based on Moon signs for your benefit during this retrograde. Increase in money flow. .
Quarrels and enmity with friends. Dip in status. Variation in finance. Generally this retrograde is neither 100% positive or negative. You are advised to perform remedies to Guru or Jupiter to boost your sagging focus. 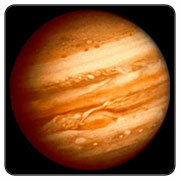 Jupiter is the teacher of the science of light, that is, astrology and astronomy. He is the ruler of the Sun and the Moon and controls the movement of the planets. The color of Jupiter is yellow. Thursday is his day, and north-east is his direction. To tide over the retrograde effects of Jupiter, you can perform some simple vedic remedies to make sure that you protect yourselves. Worshipping Lord Shiva by pouring some ghee on Shiva Linga daily is a great way to seek the blessings of Jupiter. You can do this for a week starting June 16th. According to our remedial astrologers, feeding the Ox with raw sugar pleases Jupiter. He also has a special liking to white chana dal mala. Astroved will be performing these two offerings to Jupiter on behalf of members on every Thursday for next 4 months. There will be special abhishekams and archanas for Jupiter on Thursdays at the Dattatreya Siva Baba Homa center in Chennai. Donating yellow clothes to Brahmin priests is also an excellent remedy. You can get around the clock protection when you get your personalized Jupiter yantras with your horoscope chart printed on one side and yantra on other side. You can carry that in your wallet, if you choose to have that special protection. Astroved has made arrangements to energize these special yantras for your benefit. Thiru Alangudi is a powerful Jupiter energy vortex situated in Tamil Nadu. Astroved has arranged for powerful monthly poojas for Jupiter at Alangudi through the retrograde duration. You are encouraged to join and receive your blessings. Click here to view Dattatreya Siva Baba’s Video about Planet Jupiter.